Raising awareness of mental illness, fighting the stigma and campaigning for better understanding and rights for those who struggle with their mental health, is something which I do on a daily basis. It is part of me. It is something which I feel very passionate about given my own experiences of mental illness. It is also something I enjoy. I wish I didn't have to, but I'm a realist and not an idealist. I know there is a problem, which I want to change. Writing openly and honestly about mental health is very rewarding. When I see changes in the law or high profile celebs or even royalty, doing their bit to end mental health stigma and improve the way in which the system works, it makes me feel proud of the community I am part of. When people tell me how much my blog or story has helped them, I feel delighted that I can help someone overcome a struggle which I know firsthand just how lonely and isolating it can be. But is there a line between where being open about mental health crosses over with your identity? Or when your mental illness becomes your identity? For me, I think there is, and I believe that in many aspects of my life that line has been crossed which can throw some pretty heavy challenges my way. For example, I'm in my second year of my A levels now. During my first year of A levels, my mental health wasn't great. There was many a panic attack. I ran out of way too many lessons. I have spent equally as many hours in lessons learning as I have in toilets crying. Of course, my teachers, tutor and other staff had to find out about these issues, so they could support me and be aware of any potential warning signs I may be displaying. Sometimes my teachers even experienced my panic attacks first hand, which is never fun for anyone. After the first few times, I left class in a rush or starting performing OCD compulsions which left my teachers scratching their heads, confused on what on earth I was doing, they thought it was just a one-off. Soon the panic attacks became persistent and so did leaving the class unexpectedly, my teachers began to realise that this was who I was. I was ill. Weird. When they were informed that I struggle with mental health problems. Those mental health problems became me. I was 'the girl with mental health problems' or the 'one with OCD' I was strange and out of place. I soon noticed that the teacher's behaviour changed somewhat towards me. Depending on the calibre of the person the teacher was. Some wanted to wrap me up in cotton wall and wanted to do anything they could to help. Others believed that I was doing it for attention and started ignoring me altogether. While others were simply scared. Scared of saying the wrong thing. Scared of making the situation worse. Mental illness, as a result, became me. This became even more apparent to me when I started my second year of A-levels. New teachers who didn't know me, acted differently towards me than the rest of the class. Why? Well, I can imagine my outbursts and strange behaviour from the first year made memorable good staffroom conversation. It's not just teachers though. I had friends who 'were always there for me' and 'totally understood my mental health problems' yet when I showed signs of being really ill and distressed, including going to take my own life. Those friends were nowhere to be seen. Once they found out what had happened, they never acted the same around me again. In a way, how can I blame them? Who would want to be friends with someone who was completely out of their head and wasn't in control of their thoughts and behaviour? Not many people, it seems. Although, I know that those with mental health problems make some of the kindest and most supportive friends you could ever have. And then there is online. I put myself out there for all to be seen. 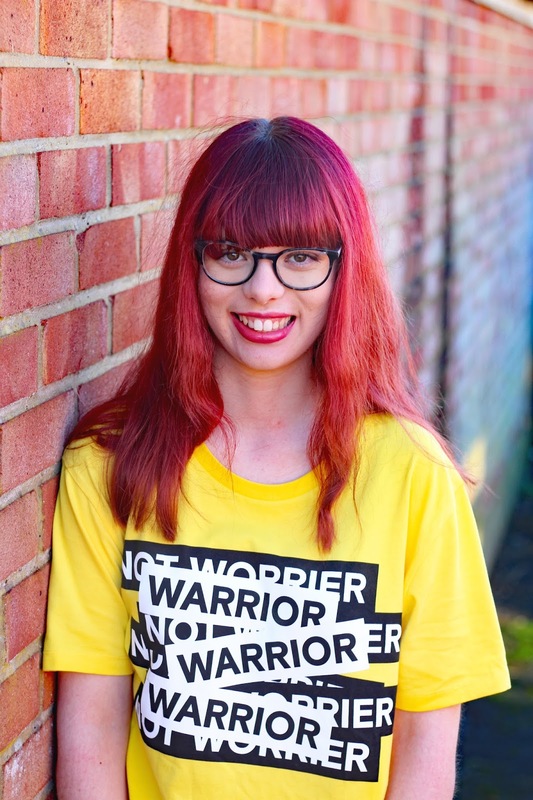 I'm Nicole, the outspoken mental health blogger and advocate. Don't get me wrong, it's my life's mission to end the stigma around mental health and improve the medical and professional services which look after those with mental illness. But it is not all that I care about. I love reading, Harry Potter and horror films. I love binging Netflix shows and playing board games with my family at Christmas. I love 80s music and conspiracy theories. Sometimes I see things or hear people talk about mental health in a way that isn't accurate or right. Yet, I don't call them out. Why? It's not because I'm a terrible mental health advocate. It's because I'm a human being. It's exhausting fighting stigma all the time, day in day out. Every other day there is a terrible news headline about suicide statistics or how the NHS mental health system is failing its patients. Yet, I choose to take my stigma fighting goggles off and say "Not today, thanks." I care. I truly do care. But underneath the angry tweets and emotional blog posts, there is a real human being. One that is so much more than their mental illness. One day, I hope people will see that. I would love to know your thoughts on the topic in the comments down below. Do you believe that mental illness can become your identity? Have you experienced it yourself? Thanks so much for reading, as always. 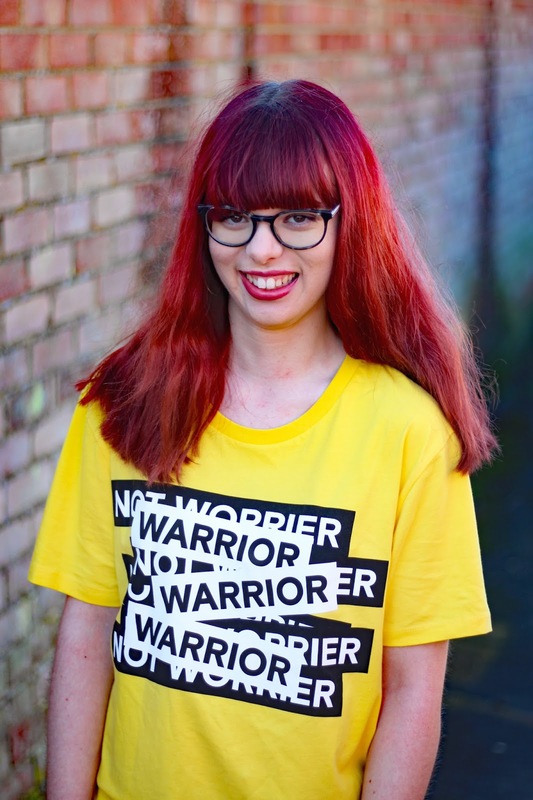 If you want to get your hands on a 'Warrior not worrier' top head over to Maison de Choup. 25% of proceeds go to YoungMinds. A charity dedicated to supporting young people with their mental health. I loved this post and I agree with so many parts of this. When people knew I was ill they started acted differently and I was "the ill one". Even with family this has happened, I'm the ill one but when I am having a good day I'm cured and asked can I do the things I couldn't! Suffering with mental illness and not letting it become part of your identity is a really tricky one, and I do feel as though my anxiety and panic attacks are now a part of me, and its something people know me for. Which kinda makes me feel sad sometimes, but I know thats not all I'm about and the same goes for you. There is so much more to us than our mental illness, and I'm proud you talk about it and raise awareness as much as you do, its bloody brilliant. Also love the tshirt! Many people are well known for their gambling. The most well-known gambling activities are the gamblers who are delighted to be able to join in the fun of gambling. จีคลับ The demand of gamblers is excellent, it can send fun to everyone who opens the channel for online gambling is truly fun and get a great opportunity. Online gambling is the way to go. It's always possible to have the best online casino games. The most up-to-date online gambling is considered to be the world's most popular gambling game. Play or choose to win all the fun in the present era. gclubผ่านเว็บ One bet opportunity that many people pay attention to play casino in a modern play. Is Having a Mental Illness Inspirational?